bah, anyways this is the VERY last update before I start on the addon episode for Doom64 TC. if you have a version below version 2.1.8 or 2.1.7, then you will have to download the entire package again. BOOM player voodoo dolls, also hidden in full automap cheat). + Doom64.opt has been updated ONLY. I plan to update the Doom Builder configuration files soon. thing goes into its deathstate. Monster is completly impassible until lying still. + Added a new linetype W1 fast ceiling move to floor. Linedef # 992. Note about 991, this is totally easy to use, like using teleport triggers, instead of using thing #14, you use anything between 7575 to 7630, each one spawns a different thing. For example, thing 7575 spawns a shotgun while thing 7630 spawns a yellow skull key. 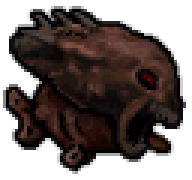 A list of things is in Doom64.opt which is used for Deepsea. if any problems show up, please let me know. btw, if you decide to download the whole insaller, please download the one from the fourwind server. The other two servers still have an older version. Another one? Oh well, I was probably going to have to re-download it anyway. In the last level "The Absolution", I found that when I wanted to stop one teleporter from working the game crashed. I got the key that stops the teleporter, so I go up and open the door, and when I hit the switch inside It tells me that there is an error (ZONEID). yikes. I'll see if I can fix that. thanks for letting me know. I'll create another patch tomorrow. OK well that kinda fixed it but now after awhile monsters stop comming out and I just kinda sit there doing nothing. I think what happened was that when I closed off one gate, the monsters kept spawning.. since I can't kill them, the game doesn't initate the next volley of guys. fixed. please re-download map30xg.ded again. sorry to keep bringing this thread up. if you do not know what version you are using, or have version below 2.1.8, then please let me know. Ya just gotta hate the problems Doom can present, but you can always learn from trial and error. Once I get my computer fixed, I'll download all these patches and such. BTW is the DOOM 64 TC it's own Source Port or does it run off another? well, the TC is based of of Skyjake's Doomsday engine, which of course is a source port. I have plans on adding a custom build of Doomsday once Skyjake implents a feature that will allow total control on glowing sectors (which is the main star of Doom64), but not really sure if he will ever do this. If this happens, then Doom64 will be a game itself rather than an addon, and will be uploaded to 3dgamer archives.